Austin – In a lot of ways, rock and roll is really a lifestyle choice – if you want to rock, you really have to dedicate yourself to it. 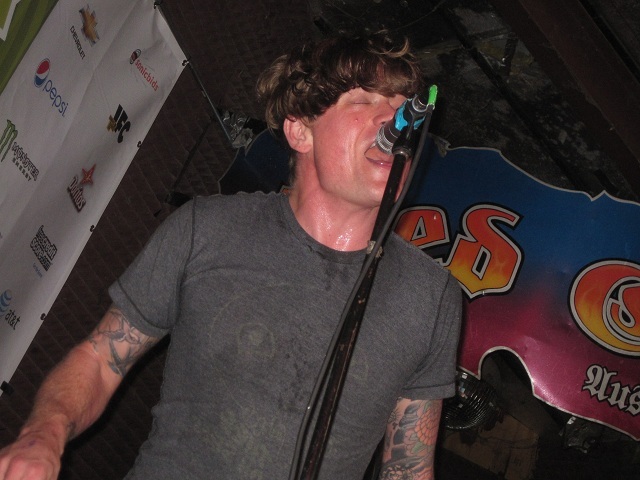 John Dwyer of Thee Oh Sees and David Gedge of The Wedding Present both strike me as guys who’ve dedicated much of their adult lives to rocking – Gedge has been fronting The Wedding Present since 1985 and Thee Oh Sees have been going since 1997, though Dwyer’s been in a ton of other bands before that, including The Hospitals, who famously got into a pretty violent scuffle with Silver Dollar Room booker Dan Burke a few years back. I’d say that qualifies as a pretty rock and roll move. If Dwyer was around back in the ’50s, I imagine he’d fit right in with the likes of Jerry Lee Lewis or Screamin’ Jay Hawkins – he’s got that kind of over the top stage persona, which probably isn’t even a persona at all, but just him getting right into it. He and the rest of the band also understand that rock music is essentially about the beat, the rhythm – a fact made quite clear by the band’s stage setup – not one, but two drummers, each placed prominently at centre stage. The setup made the smallish stage at Red Eyed Fly look even more cramped, but that just seemed to add to the energy and the atmosphere somehow. While The Wedding Present didn’t operate with quite the level of wild abandon that Thee Oh Sees put into their set, they certainly aren’t lacking in energy. The crowd was certainly into it, with many excited to see the band’s first American show in four years. While they’re currently touring a production of their 1991 classic Seamonsters, their brief set this afternoon was not devoted to that particular album. 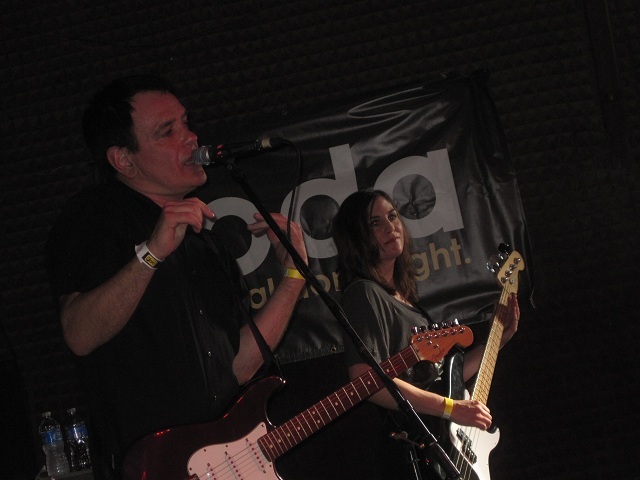 Gedge led his crew through a number of tunes from throughout their career, leaving the crowd fully satisfied. Then again, when you’ve got great bands and free beer on hand, it’s pretty hard to go too wrong. The band played a fun sort of noise-punk that sounded pretty good, but it was Ivinson’s stage banter that truly made the show. He had a wry, sardonic, dry sort of humour, discussing things such as how their song “Fly Away Home” was inspired by the fact that he thought the message of the Anna Paquin film of the same name was a bit silly. He also commented on how as a kid he was good at the egg and spoon race and the three legged race (ie. he’s not terribly athletic), and mentioned how unhappy he was that the Olympics were coming to London this year, adding, “I suppose it’s a bit like SXSW…” He did make sure to point out though, that playing rock songs is at least better than sports, but it was an astute commentary on how I’m sure many Austinites feel about the annual influx of music industry folk into their city. Ivinson also took time near the end of their set to trash the sponsors a bit because they couldn’t put up a banner lest it block the ad banner already onstage. “We made it ourselves, what has Pepsi ever made?” he quipped. “I still drink it though,” added drummer Stacy Owen, who often chimed in with additional comments throughout their set. If Ivinson ever decided to set the bass aside and branch out into stand up comedy, I’d consider checking that out as well … as long as he found a way to still keep Owen and her drumkit onstage. I don’t throw around the term “sounds like Beta Band” around very often, but when I do, it’s for a good reason. Django Django is an East London quartet whose colorful arrangement, semi-tropical vibe and overall psychedelic stained artsy-folk feel has many comparing them to the much loved UK band from the mid nineties. The connections don’t even stop there, as leader David Maclean is actually the brother of Beta Band keyboardist John Maclean (who was also in Die Hard). 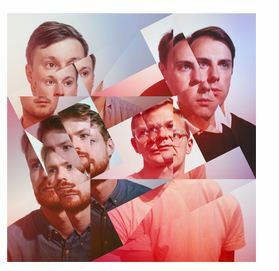 Other band comparisons aside, Django Django has put out a wonderful debut self titled album that has been in my rotation since I discovered it and they have released a few songs for public consumption off that album and one of the tracks is Storm (it’s not about Halle Berry). 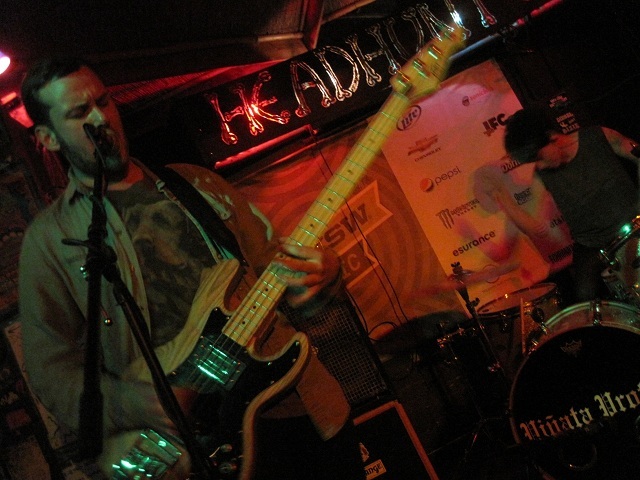 SXSW is only two weeks away. It’s incredibly hard to believe. Usually I am beyond prepared for the trip, but life circumstances have taken up much of my time the past two months so I find myself playing catch up. I was listening to the Paper Garden Records set list and this little gem showed up. I love grandiose tunes featuring strings so this track by former Eagle Seagull singer Eli Mardock certainly caught my attention. This is a song I envision being played as the sun bursts through the clouds on a dark day. It’s pretty good, check it out.